After applying foundation, skin can look flat with a single colour and lack dimension. That's why we needs skin enhancers and contouring products to add the contours back and give a more structured look. With summer coming up, it's important to find a good bronzing product to add a bit of glow and sun-kissed colour into your face and I think I've found just the right product. This limited edition enhancer features a beige and light golden-bronze shade, both of which contains micro fine golden shimmer. Even better when it comes paired with an adorable green and yellow floral mini-makeup bag. Neither muddy or orange looking, this imparts a subtle glow to my medium NC30 skin and when swept below the cheekbones and temples, gives a flush of colour like it's been kissed by the sun for a few hours. Light enough on my skin, the beige side is also a great highlighter for above the brow bones and above the apples of cheeks. The compact flips up to reveal a brush underneath. Normally brushes included in compacts seem to be added in as an after-thought and range from unusable to passable. It's not the case here as this natural bristled brush is soft as silk but firm enough to grab powder beautifully and is something worthy of paying for on its own right. 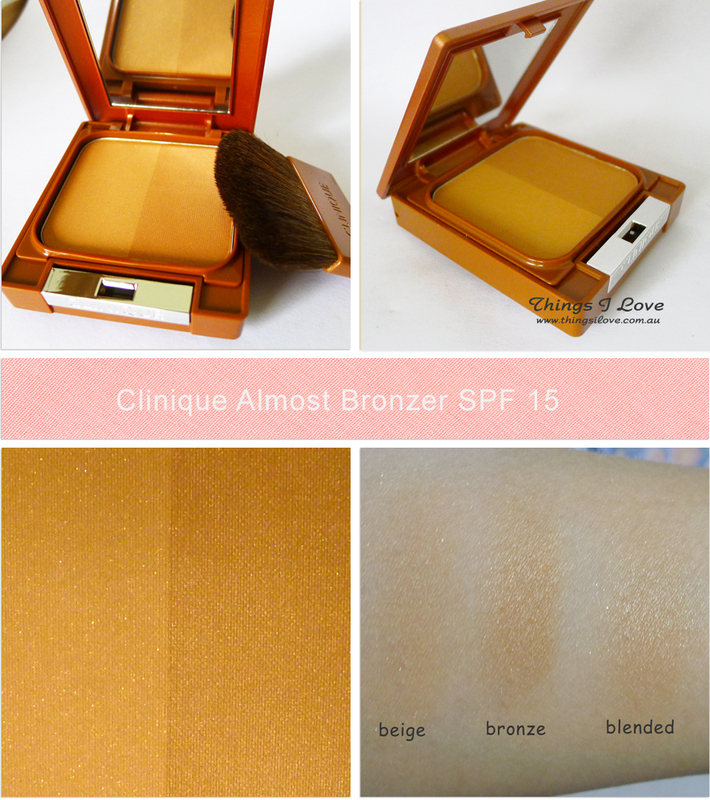 Clinique Almost Bronzer is not a deep bronzer but one that gives a subtle golden radiance. 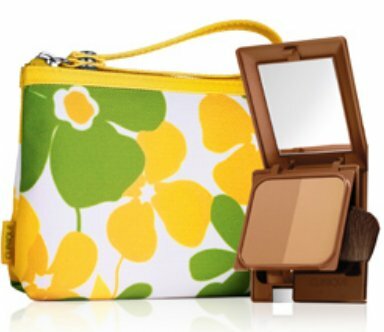 I am smitten with it after using it for contouring and it now has a permanent home in my makeup bag. RRP A$59 at Clinique counters or online now! Be quick as this limited edition gem won't be around forever!